Welcome to Onlinecashandcarry, your "Smart Wholesaling Solution"! 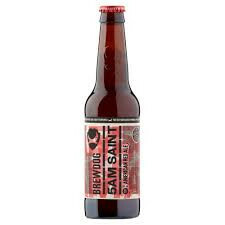 Brewdog 5AM Saint is 5 malts, 5% ABV and 5 hops (OK, it’s six but you get the idea). That’s where order ends and chaos begins. Berries and marmalade mutate with caramel and chocolate and a dash of spice. All resting on a biscuity base. As malty as it is hoppy. As anarchic as it is structured. With this product, you earn 370 loyalty point(s). © 2018 Onlinecashandcarry. All Rights Reserved.